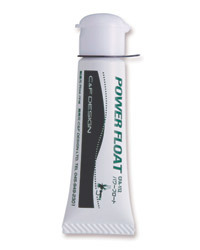  Works for all dry flies including CDC patterns; also great as leader/tippet floatant.  A small amount applied fully prepares the fly. The created film is long lasting, so you can concentrate more on fishing instead of restoring flies. 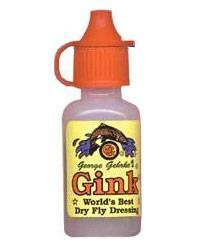 This fly grease will not mat hackles and ensures that the fly will float for many hours. All the fly fishing floatant you need to keep flies afloat in one handy kit: premium gel, paste, powder, and fly dryer. The gel is temperature-stable. It won't melt in the heat or harden in the cold. The paste gives tippet, leaders, and indicator more buoyancy. Powder keeps flies floating high, has a sparkle attractor and creates a realistic air bubble effect. Shake-N-Flote Renew dries flies fast and reinvigorates them. A great value! Fly line and leader paste floatant. Gives hackles and leaders a smooth, water resistant coating. Softens when warm but wont run or leak. Contains human odour masking pheromones. The ultimate fly oil. The special mixture assures buoyancy of long duration and natural retention of fly wings and hackles when applied with the special applicator brush. Will leave no oil on the water. The ultimate liquid fly oil. 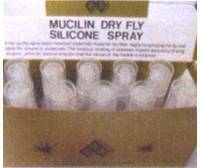 The special mixture assures buoyancy of long duration and natural retention of fly wings and hackles. This is supplied in Hour-Glass bottles for easy application to fly. Place a fly in neck of bottle, tip and then remove fly. Will leave no oil on the water. The ultimate liquid fly oil. 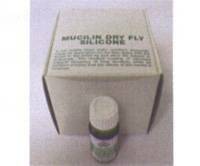 The special mixture assures buoyancy of long duration and natural retention of fly wings and hackles. Supplied in a spray bottle. Will leave no oil on the water. Duck grease ub solid form - long life.